Adaptable, technical design for face, neck and head protection in Phasic™ AR base layer fabric for rapid transfer of moisture plus temperature regulation to suit aerobic and cold weather endeavours. 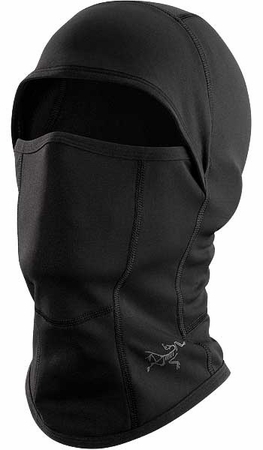 Stretchy fabric construction allows for easy adjustment to the neck gaiter or simply to tuck it under the chin. Added length in the front layers easily and sits flat under a collar.